With data flowing in from all directions, how are businesses to make sense of all of this information, let alone make meaningful decisions? This is where a having the right Business Intelligence (BI) tool comes in. In an era of Big Data, we’ll see why having the right Big Data visualization tools is critical to business success. What is a BI Tool and Why Do I Need One? BI tools lets businesses visualize their data, allowing organizations to see patterns and correlations, trends, statistics, and even ask specific questions. BI tools (which include Data Visualization tools) leverage the organization’s data to provide information in a way that adds value to the end users – who could be anyone from sales and marketing, to engineers and top-level management. The right BI tool can bring information to light that might not have been obvious, or may never even have been discovered if it wasn’t for using the right tool. On a basic level, a BI tool can track company metrics such as sales and conversions, usage, and engagement. BI tools can also identify trends and correlations such as products that are bought together, or certain times being more optimal for different product mixes. BI tools can be used to pick future product winners, predict outcomes, and identify new markets. In short, in order to compete in the modern business environment, having the right BI tool is essential. For a fuller BI tools comparison matrix, check out this link. What are the different BI tools? In our reporting tools list, we’ll look at a Business Intelligence tools comparison, including each of the Business Intelligence software vendor’s various weaknesses and strengths, and see how the Business Intelligence software vendors stack up to help you identify the best one for your business. Looker connects directly to your database to create a powerful BI platform, to assist companies in getting value from their data. Looker has been lauded by users for the power and simplicity it provides; both in-depth data analysts and general business users will be able to extract value from the tool. With easy-to-read reports and beautiful dashboards, with Looker you can also share these, from any device. 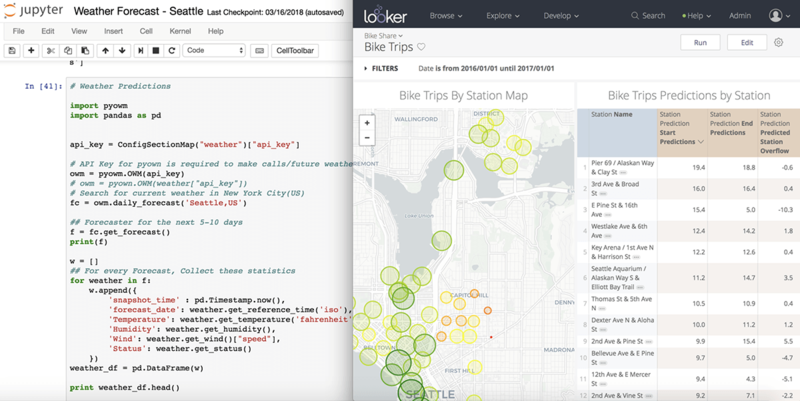 Looker provides advanced data visualization techniques and data modeling through LookML, which in turn is used to provide its BI experience. As one of the leading Data Visualization tools, any number of metrics can be visualized, and various different metrics can be grouped or compared with the easy-to-use and intuitive dashboards. Information can be represented in multiple ways, from traditional bar and pie charts, to more complex visualizations. One of the most handy features is setting up alerts which can give insight and early warning into certain behaviors, such as customers at risk. Looker is also smart. For example, you can define your important metrics, such as conversion rates, and explain how tables relate to each other. After this, Looker will write the right SQL to answer any data questions regarding this data. Criticisms of Looker include less options than Tableau when it comes to visualizations, as well as difficulty in importing data that is not already sitting in the data warehouse. Pricing depends on the organization and use case, and is available by request. 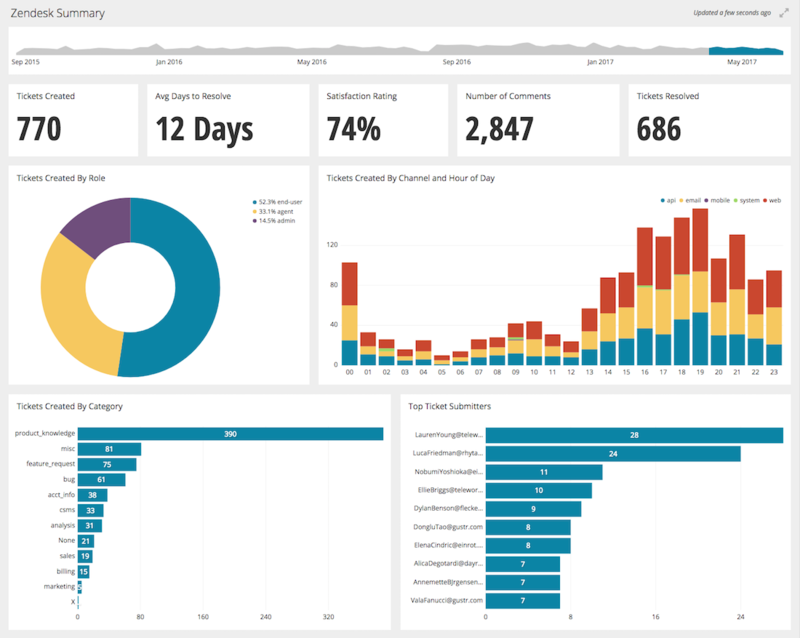 Tableau was one of the original data visualization/BI platforms that burst onto the scene, suddenly making it easy for everyone from veteran data analysts to high-flying sales executives to visualize company data. Being one of the first has resulted in certain advantages, and disadvantages, for Tableau. On the positive side, it means that with Tableau you’re getting a stable, solid product that has stood the test of time and will reliably do its job. It also means that there is a ton of literature, forums, and use cases to help you when required, and others on your team (especially new hires) are most likely to have worked with the platform before. On the negative side, it lacks the zip, UI and features of some of its newer competitors. 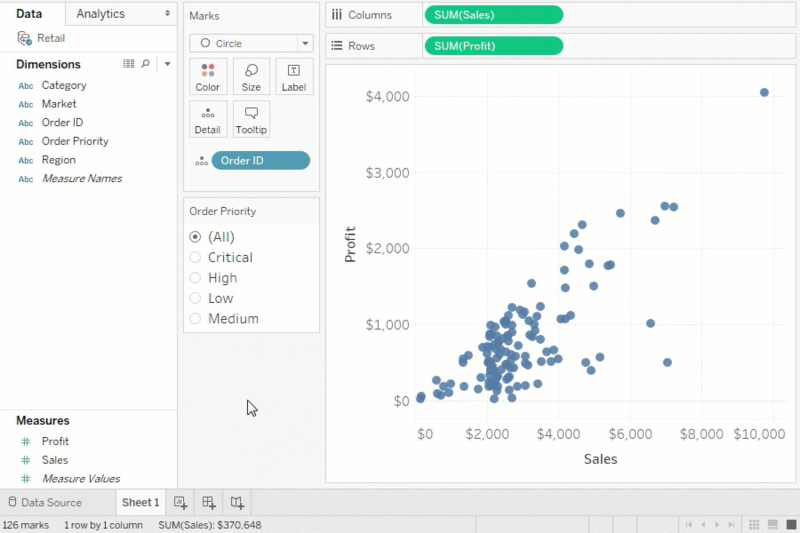 Other drawbacks of Tableau include difficulties when trying to drill down in a dashboard, being a bit late to the game when it comes to cloud-based functionality/SaaS than some competitors, the inability to roll back a change in a report, and the fact that Tableau pulls data into the system, rather than being a “connect all” like its competitors. Pricing starts at $70 per user per month, with other pricing options for different types of users. 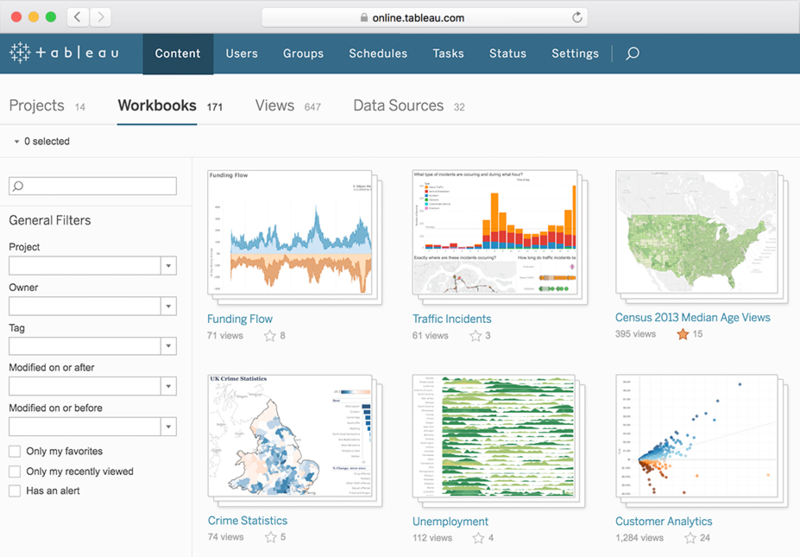 For example, with its “Tableau Viewer” plan, users can view and interact with dashboards and visualizations for $12 per user per month. 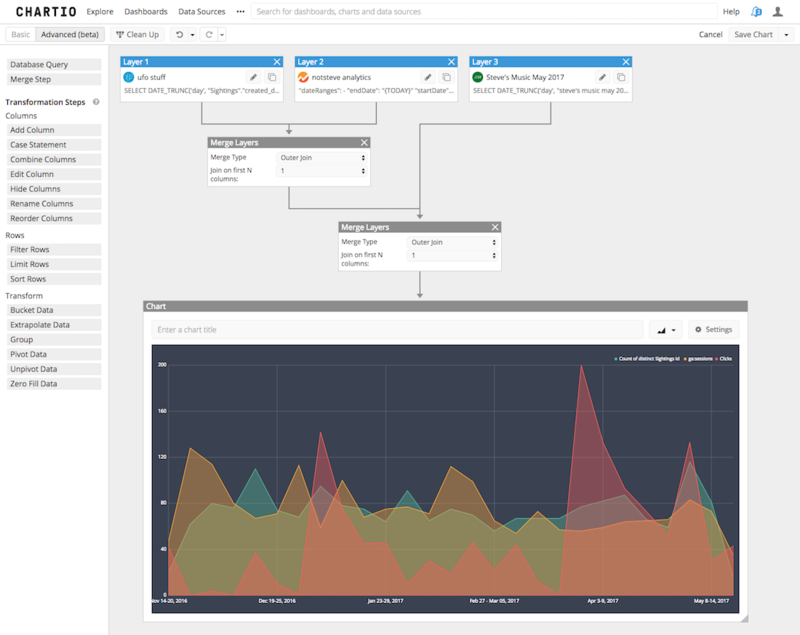 Chartio is a cloud-based BI platform. 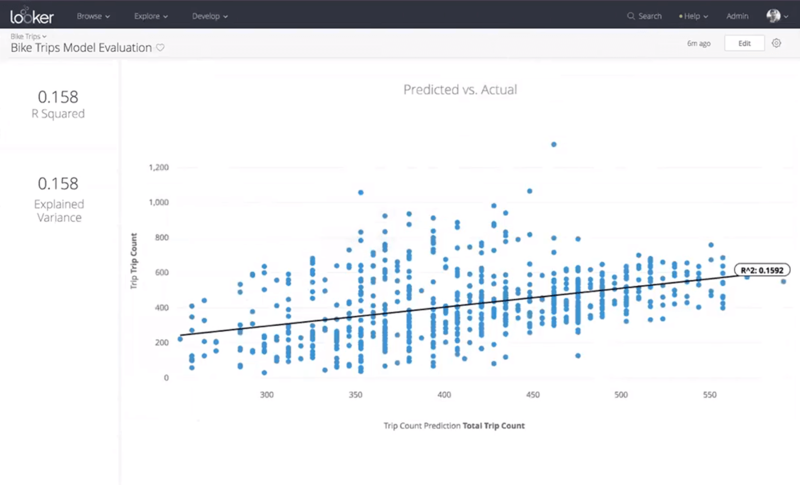 Chartio is more of a “light” tool than Tableau and Looker, and while it may not have all the functionality that you Head Data Analyst is looking for, it’s well suited to business users who require more basic functionalities when it comes to querying and visualizing their data. Chartio is easy to use, has easily accessible team dashboards, comes with out-of-the-box connections to most major data sources, allows the sharing of dashboards (albeit not as easily as Looker’s functionality here), and innovative snapshot feature, and the choice of “Interactive Mode” – which lets you drag and drop data to create, edit, filter and share dashboards – or “SQL Mode”, where you can communicate with your databases in their standard language through the Chartio SQL editor. Some of Chartio’s drawbacks include struggles with ad-hoc analysis, and a time-consuming way of slicing and dicing metrics with a more “step-by-step” procedure. Having a BI tool is non-negotiable, and having the right BI tool is what can give your organization a competitive edge. Having said this, a BI tool is only as good as the data it accesses. If the process of retrieving this data is slow, or even worse, of the underlying data is inaccurate, then having the best BI tool in the world won’t help. The first step when it comes to getting the most out of your data, is ensuring that it is accurate, valid, and complete, and can be accessed easily. This means that you need a solid data analytics stack. This stack comprises 3 different components: ETL/Data Integration, Data warehouse, and Data Visualization. Data Visualization, and BI tools in general, can only be as good as the base which they are built upon.